Just as I was settling down to study, I noticed that I wasn't alone. I looked at my IKEA lampshade and saw what looked like an ugly moth inside it. 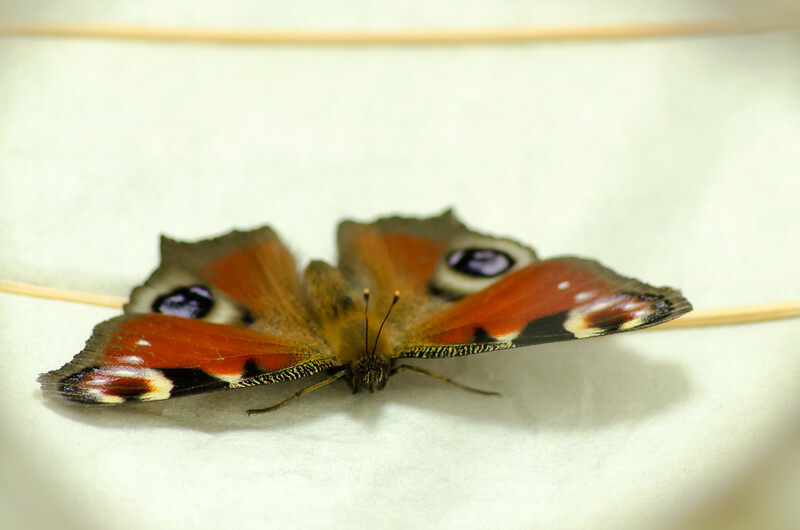 I stood up, looked inside the lampshade and was surprised to see it was a beautiful butterfly. To be honest, I'm not sure if it's a moth or a butterfly. What I do know is that I spent an hour or so taking pictures of it with my 70-300mm lens. Thanks to my guest, I didn't get any study done that night!